StillPoint Myofascial Release is dedicated to assisting you on your journey to authentic healing. The modality of Myofascial Release (MFR) has connection at its core; both within and outside of the Body. StillPoint MFR offers an advanced form of therapeutic bodywork rooted in Myofascial Release while blending CranioSacral techniques and Therapeutic Massage to address fascial restrictions which cause pain, limited range of motion or dysfunction. At StillPoint we believe that the physical, emotional, mental and spiritual parts of your being are integral to your healing. Regardless of where you are in your healing process, an awakened awareness to these ever-present connections is vital. If you’re curious about how you could benefit from a Group Therapy session or one-on-one treatment, give us a call! 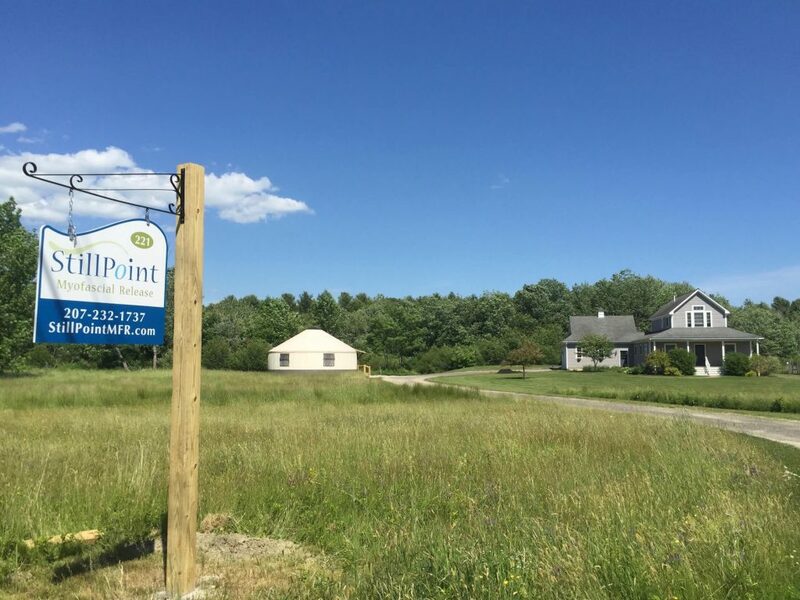 StillPoint MFR is conveniently located just off of Route One in Cumberland, Maine. We proudly serve clients throughout the Greater Portland area, Southern Maine and MidCoast Maine. All of our classes and individual therapy sessions take place in our beautiful, newly constructed yurt; a unique, round structure built with advanced healing in mind. Come visit!